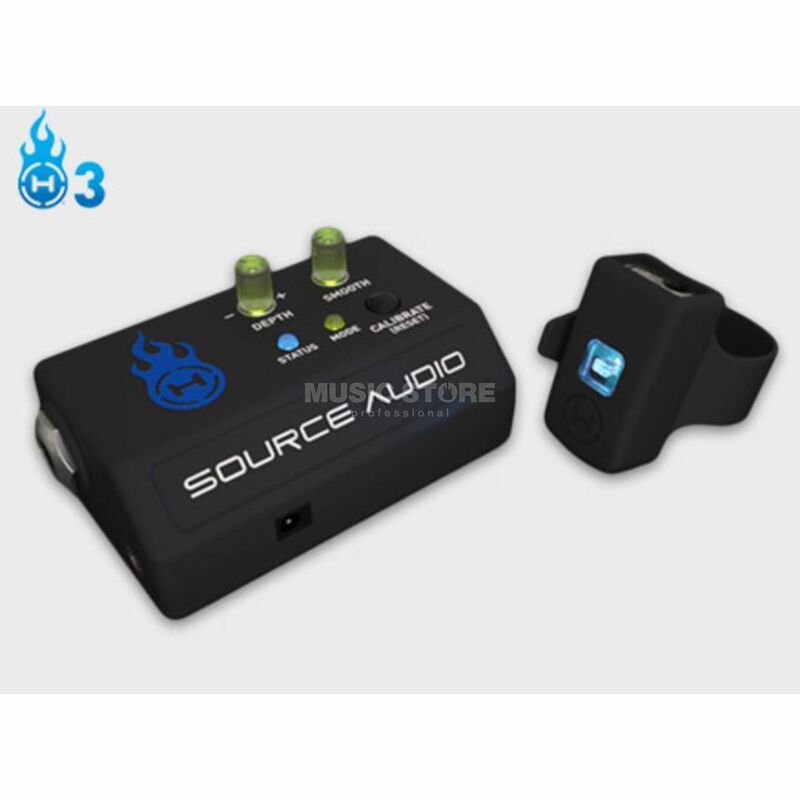 The Source Audio Hot Hand 3 Universal Wireless Effects Controller expands significantly on the breakthrough technology of the original Hot Hand, broadening its compatibility to include non-Source Audio pedals. A 3-axis accelerometer translates motion into a dynamic and precise expression signal, which can be applied to a range of effect parameters, including filter sweeps, drive levels, modulation, and wet/dry mixes. The lightweight and wireless ring is capable of transmitting over 100 feet and fits comfortably on the hand, foot, or instrument headstock. Hot Hand 3 connects to all Soundblox, Soundblox 2, Soundblox Pro, and Hot Hand pedals via the 1/8” SENSOR OUTPUT. The receiver base station also features a standard 1/4” EXPRESSION OUTPUT compatible with most third-party pedals equipped with a 1/4” expression input, such as the Boss PS-5 Pitch Shifter, Eventide Space Reverb, Line 6 DL4, and many more.